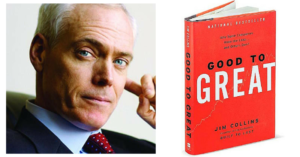 Last week I wrote about business leadership guru Jim Collins and his powerful book Good to Great. I covered two of the seven Leadership questions and this week I’ll reveal the other five. 3) How can you reframe failure in pursuit of ambitious goals? Collins related the story of a climber who tried for 4 years to climb a rock face, failing each time until he finally succeeded. As Collins said, on the other side of the coin from success is growth, not failure. This is such a critical point as we all hate to fail, yet if we don’t try new things we can never learn. As a leader, it is essential that you allow your team the opportunity to try new things and fail. It’s the conversation you have with them afterwards that is the key. Words like “how would you do it differently next time?” or “what’s another way you could do that?” focus on getting it right next time and not dwelling on why it went wrong. 4) How can you succeed by helping others succeed? We succeed at our very best, but only when we help others succeed. Any business that has people will know this is so true. It was very clear in the research that the 11 great companies were the best at getting the right people on the bus, the wrong people off the bus and the right people in the right seats. When a business has all of these three things connected, their people across this vision and focussed, they explode. This keeps the business focussed even when they go through tough times – Collins talked about Steve Jobs being fired by Apple yet he never gave up on his vision. 6) Will you build your unit into a pocket of greatness? Great leaders focus on their unit of responsibility, not their career. Collins was clear that younger leaders who focussed too much on their career struggled to make a sustained impact. 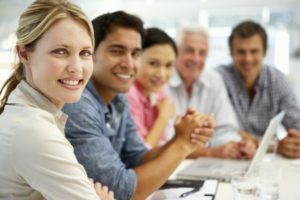 Yet the younger leaders who focussed on their particular department with the determination of making that great were the ones who achieved success and their career took care of itself. 7) How will you change the lives of others? This is the ultimate question for every leader and I believe the ultimate reason why we choose to lead. If we challenge our people to grow by training them and giving them opportunities, they may well leave us. But if they do they leave as a better person with more opportunities and during their time with us, think how great they will be when they are at work. I hope Jim Collins seven questions have been helpful and you can challenge your own leadership skills to continue your growth from a good leader to a great leader.